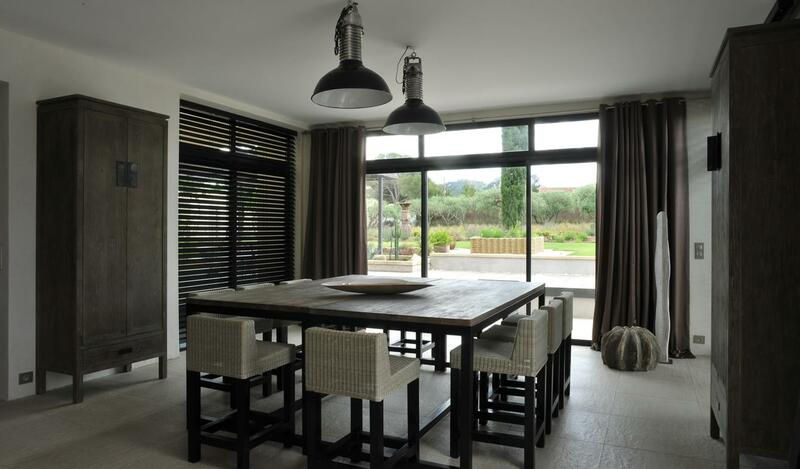 This completely renovated property opens out into the surrounding countryside and boasts a breathtaking view on the Alpilles and Mount Ventoux. The outdoor spaces were designed for guests to enjoy them thouroughly: furnished terraces, big swimming pool (12m x 6m), boules court, garden. Sports lovers will enjoy the tennis court (half court) which can be used for volleyball, handball, football, basketball and badminton. The interiors are warm and confortable, with air conditioning thourghout the property.